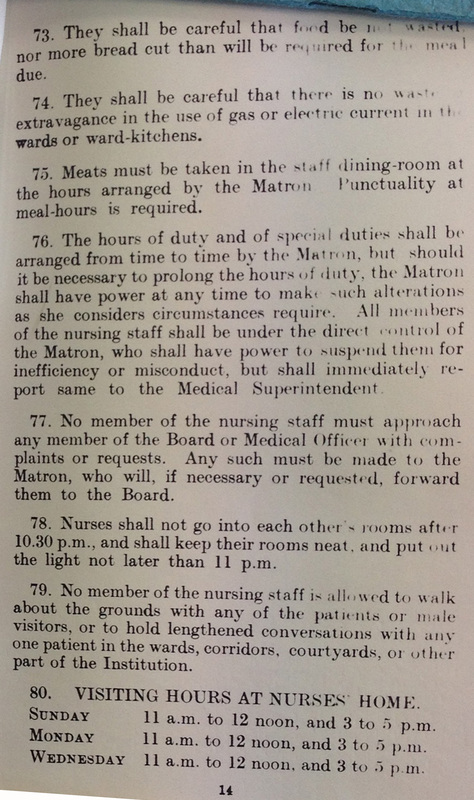 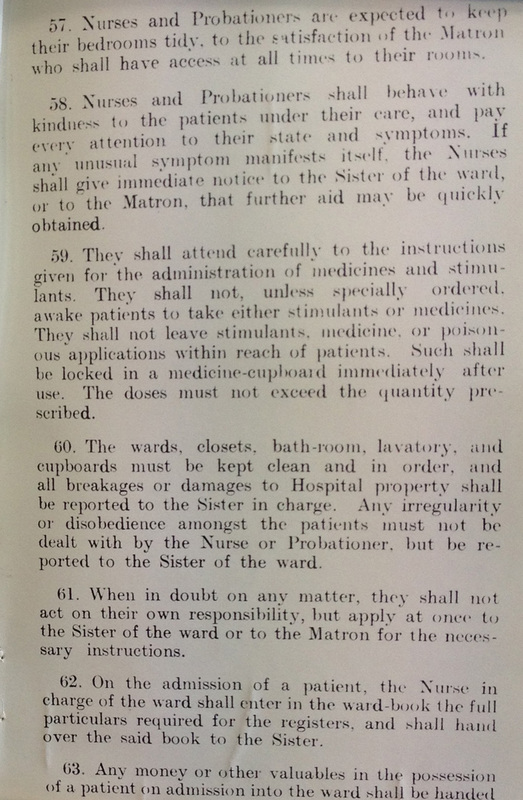 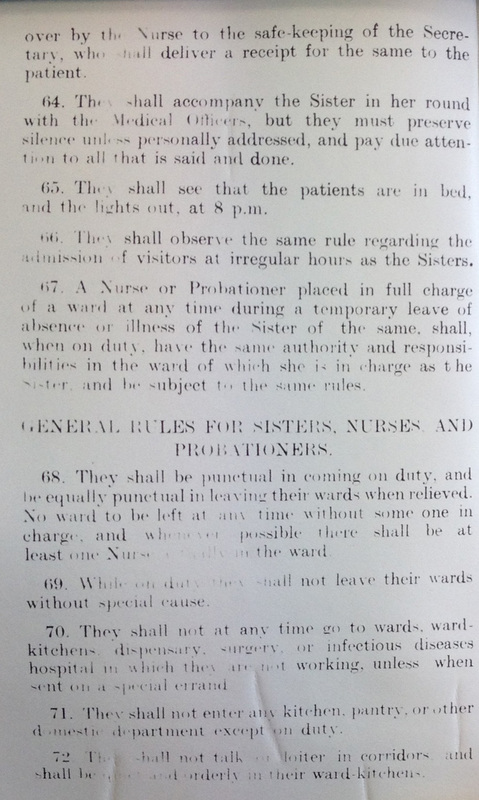 Rules and regulations for all staff at the hospital, including nurses, were in place from early on. 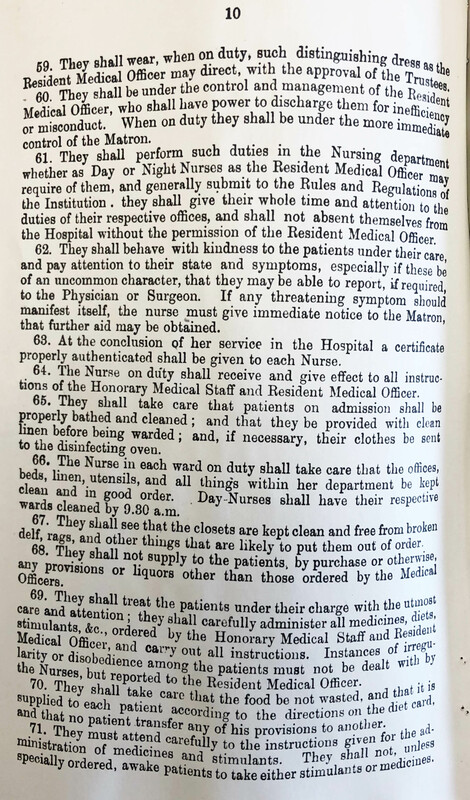 Below are those issued in 1886. 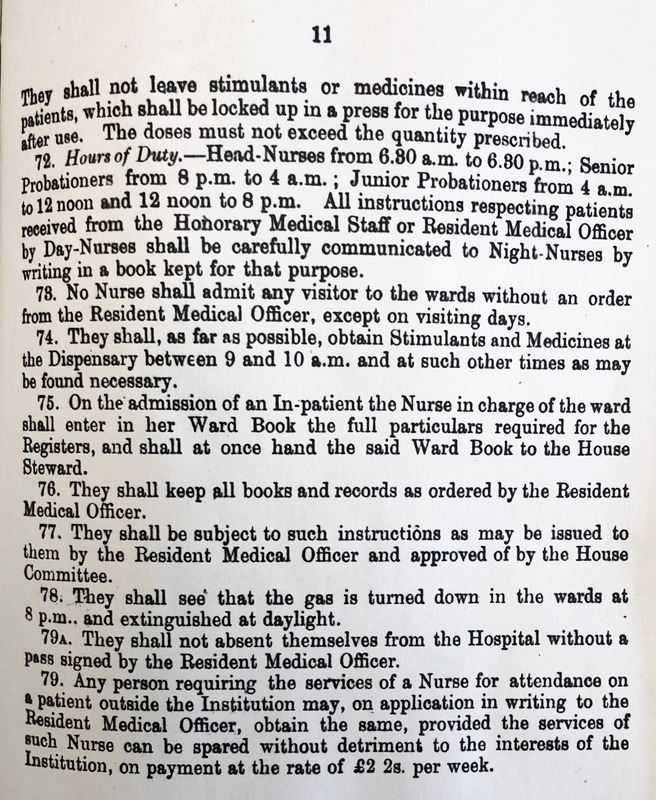 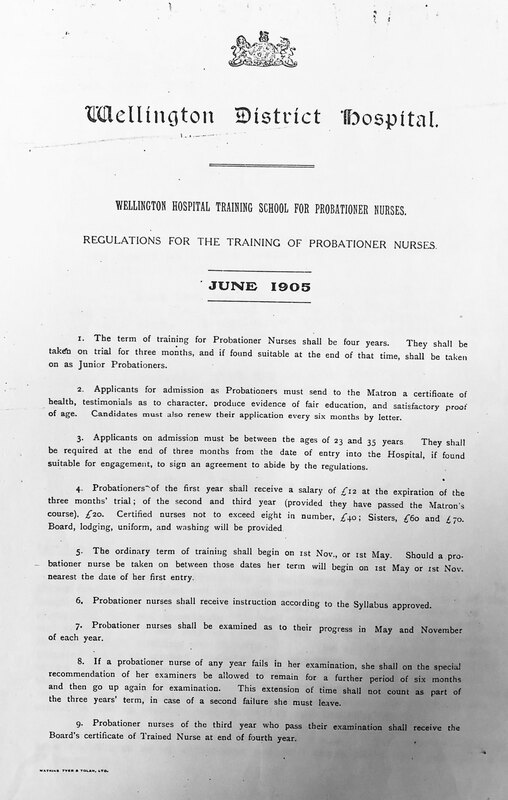 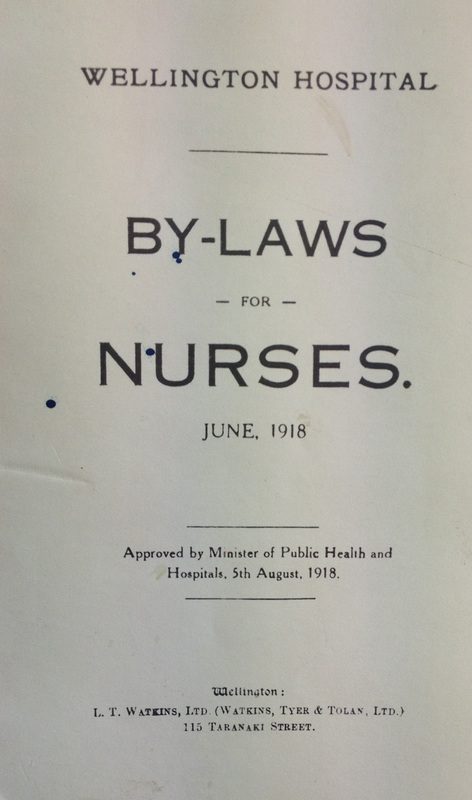 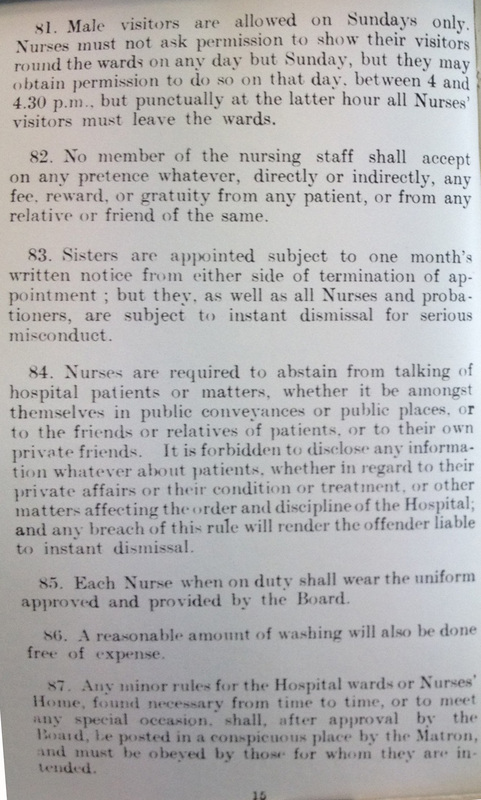 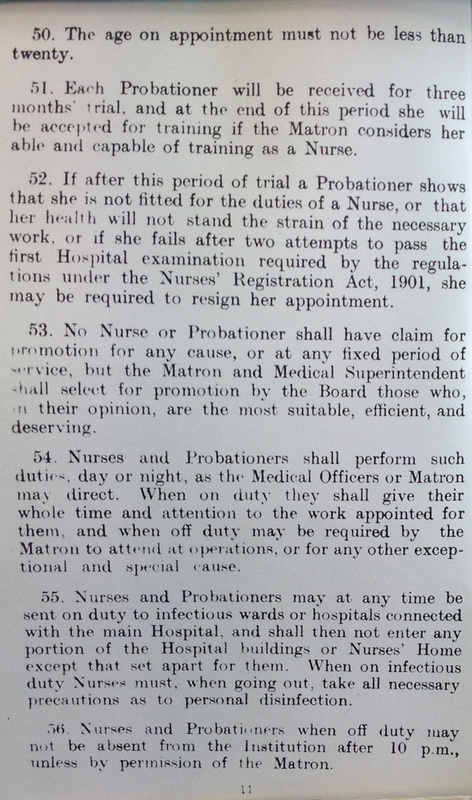 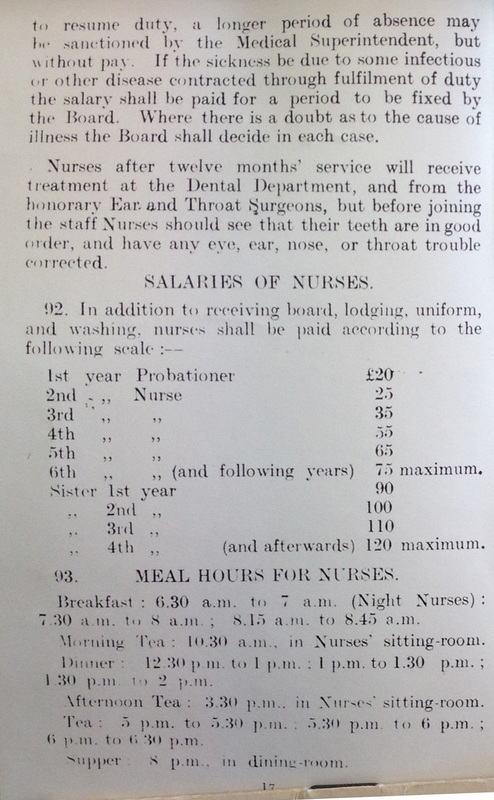 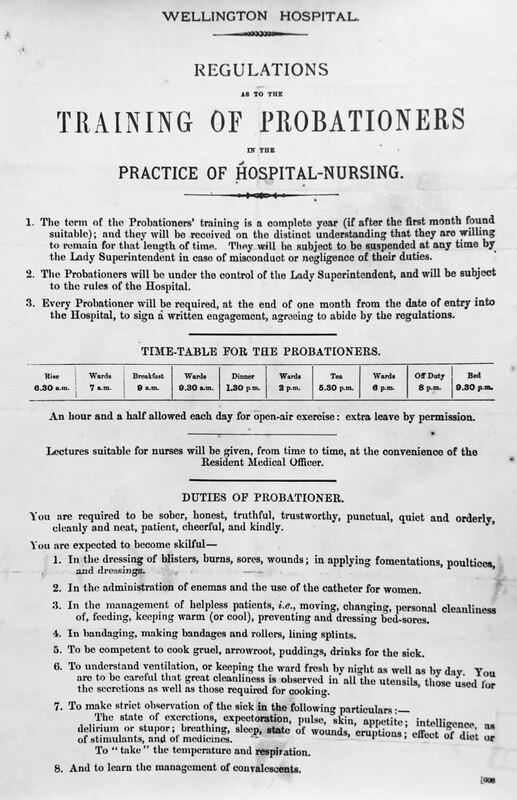 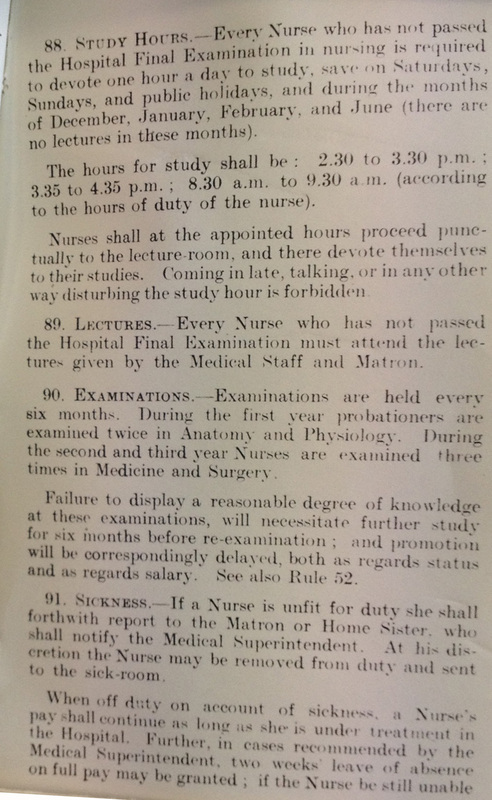 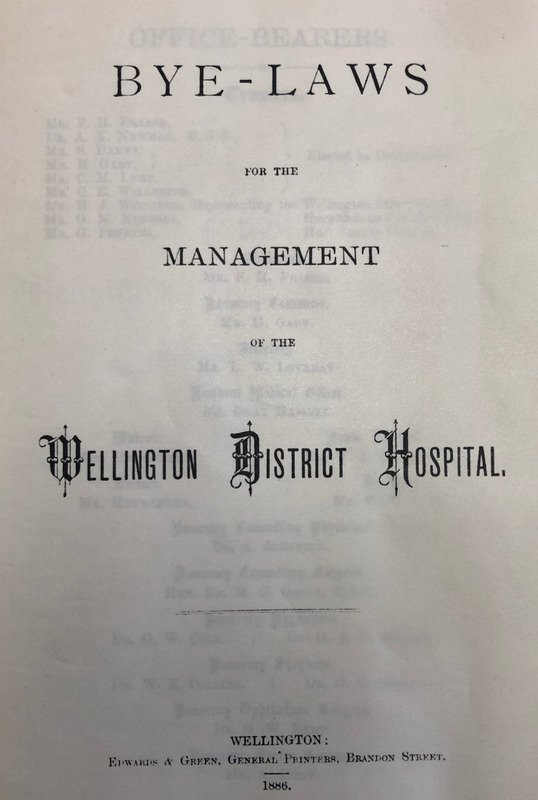 A revised set of regulations for probationers came into effect in 1905.
note point #9 - a requirement for nurses to spend an additional year at the hospital after passing the State Final examination, before they received their Hospital Certificate. 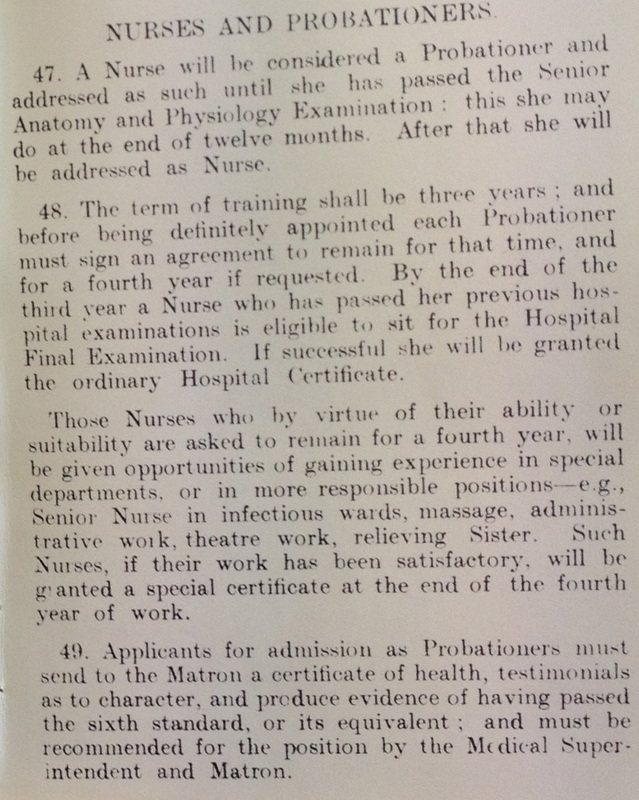 This requirement was revoked in 1919 so that nurses who passed the Hospital Final examination at the end of the third year of training received their certificates without further delay.